Is the New Coalition Application Revolutionary or Inequitable? The members of the Coalition for Access, Affordability and Success have announced their new college application, hosted by 83 colleges collaborating with CollegeNet. These colleges believe that all students should have college access and there should be another way to apply other than the current generic online college applications or Common Applicaton. The coalition was conceived when problems with the Common App surfaced in the fall of 2013. The glitches complicated the submission process for students and college admission officers. Students were unable to submit their applications on time and colleges complained about the technological failure. Since the Common App is widely used by more than 600 members, many of these colleges had no other way to accept applications. The coalition is open to public institutions with affordable tuition and need-based financial aid for in-state residents. Private colleges may join if they provide the coalition with sufficient proof that they will meet the full, demonstrated financial need of every U.S. student who is offered admission. Colleges must be need-blind to participate and colleges that practice “gapping” will not be allowed to join. Additionally, to join, colleges must show at least 70 percent of their students graduate within six years. Originally, it was announced this application would be available to students in January 2016, but that was pushed back to the spring, allowing counselors more time to engage and answer questions and finish their work with the current senior class. What is different about this new application? The new application’s virtual locker has three components: the high school student’s portfolio, the ability to interact with others, and the new application system. The virtual locker would be offered free to all high school students, allowing them to begin adding their work to portfolios as early as ninth grade. Students can decide to share their portfolio at their discretion and obtain advice from others about its content. The application itself would consist of common elements of personal information but allow each college to personalize their own application. The questions and essay prompts would be directly related to the student’s information in the locker, allowing colleges to link many questions to the material already present in the portfolio. The added benefit is that students won’t have to scramble around looking for past accomplishments, essay samples, videos, or extracurricular activities. All of these would be in their virtual lockers. 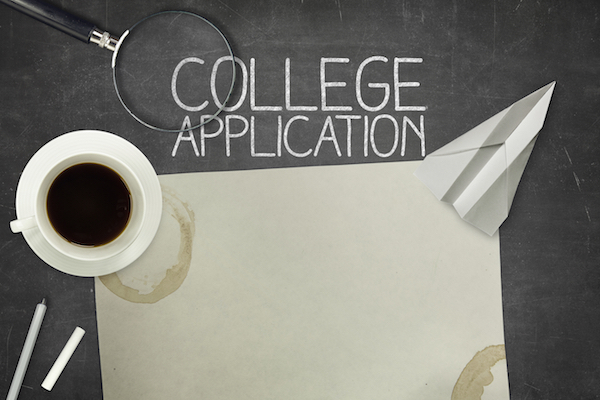 When application season arrives, students could release the information to the colleges. The eventual goal is for colleges to adapt applications for each student by asking for specific items in a student’s locker. What are some concerns about this new virtual locker? Counselors and educators fear a quick release of the program will result in major problems and glitches within the system. They are concerned that the coalition should be sure that when the virtual locker system is released, it will be ready for student participation. Will colleges use the locker to favor one student over another? Will the colleges use the locker to evaluate demonstrated interest and make that a part of the admissions decision? Will the competition from the Common App affect how many colleges choose to join? Will first-generation or low-income students be able to use the platform since many of these students apply to colleges that that don’t have the required coalition graduation rate? The concept is certainly encouraging, especially for students. Since each student is an individual, the virtual locker and the new online application offer the opportunity to demonstrate particular strengths to the colleges that interest them. It will also provide colleges an opportunity to personalize the application process, moving away from a “one size fits all” application. For a list of Coalition Colleges, both public and private, visit the Coalition’s website.